In an information society, better information is our competitive advantage. Big Data represents a class of solutions that enable organizations to capture, analyse and mine very large sets of data to gain insight into a variety of problem domains ranging from customer preferences to complex forecasting. From a technical perspective, Big Data leverages clusters of inexpensive commodity computers to tackle problems that were once reserved for the largest and most expensive mainframes. Modern infrastructure-as-a-service provides the rapid provisioning of servers and storage to facilitate the processing of 10′s, 100′s and 1000′s of terabytes of data. When complemented with approaches like Map Reduce, the once unimaginable power of massive data analysis can now be put in the hands of organizations who have limited budgets. 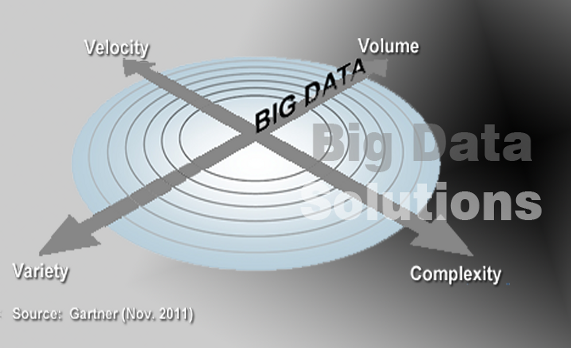 Simply put, Big Data levels the playing field. Big Data is about the growing challenge that organizations face as they deal with large and fast-growing sources of data or information that also present a complex range of analysis and use problems. Big Data technologies describe a new generation of technologies and architectures, designed to economically extract value from very large volumes of a wide variety of data, by enabling high-velocity capture, discovery, and/or analysis.